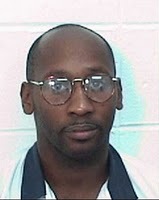 Pleas are being made to save Troy Davis’ life. He has been on death row in Georgia for the last 20 years; his execution is set for this Wed Sept 21. Troy claims he is innocent; there is no physical evidence tying him to the crime and most of the witnesses recanted or contradict their stories. Will Troy’s life be spared? 138 prisoners in the U.S. have been released from death row after being proven innocent and spending an average of almost 10 years behind bars for a crime they didn’t commit. It took me a minute to register that the United States still has the death penalty. I shouldn’t be surprised. I lived in the U.S., including Florida – the home of “Old Sparky”, the electric chair. After terrible malfunctions in the 1990s, Florida was pressured to add lethal injection in 2000. Somehow I had tucked all this away after living in Canada since it seems barbaric to have state sanctioned murder. Most of the world’s nations have abolished the death penalty. The U.S. is among the top 5 countries that executes its citizens, along with China, Iran, Iraq and Saudi Arabia. And Gandhi’s famous warning: “an eye for an eye makes the whole world blind”. When will we get that there is no “enemy” out there? There is no “other” that we have to kill in order to be free or safe. It’s only us. On one home called planet earth. We don’t need to kill Aboriginal people, Jews, blacks, gypsies, homosexuals or offenders. There is no category of people that if we eliminate them, we will be better off as a society. Quite the opposite. What we do to others is only a reflection of who we are. One of the reasons I’m drawn to restorative justice is that it humanizes offenders. We get to find out who they are, what they did, why, what the impacts are, and what needs to happen to move forward in a good way. It’s not at all about excusing their behaviour. They are held accountable and given an opportunity to take full responsibility. I think of the people I’ve met and worked with who have murdered. I’m grateful for those who chose to stop perpetrating violence and stand instead for non-violence. They can offer so much, including support for victims’ healing. Some even stand together in public forums offering a powerful invitation for peace. Like Azim Khamisa who stood with the grandfather/guardian of his son’s killer, Ples Felix, working to end youth violence and Katy Hutchison who stood with the killer of her husband, Ryan Aldridge. I recommend the documentary “The Interrupters”. Former gang members who committed atrocious acts of violence now prevent violence and murders in Chicago. They are a powerful force for peace walking our streets. I wonder if Obama and other politicians will have the courage to take a stand against the death penalty in upcoming elections? And then I wonder if there are enough informed voters who will support them if they do? How can this even be a debate in 2011?